Its patent applied design is a world first giving the user a safe and stable ride with incredible manoeuvrability. 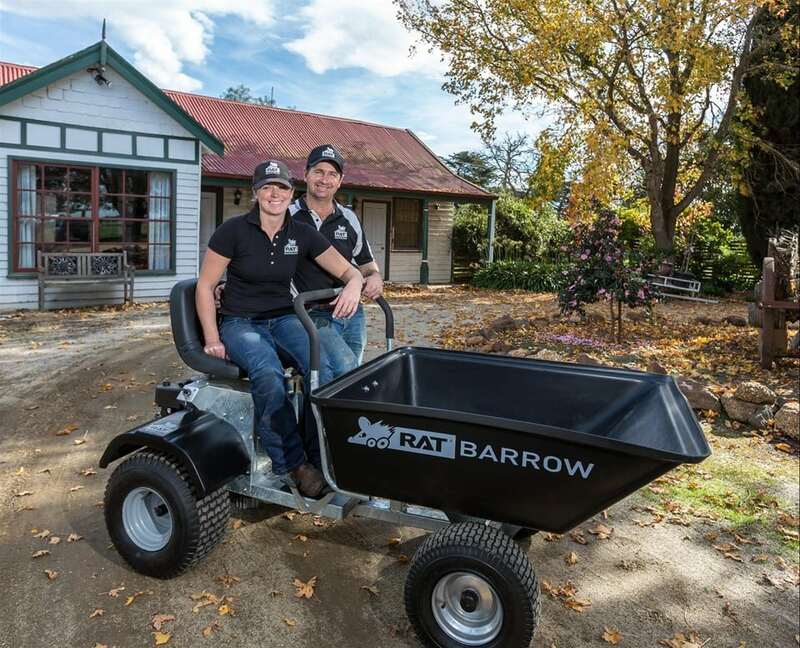 What is a Ride On Wheelbarrow? 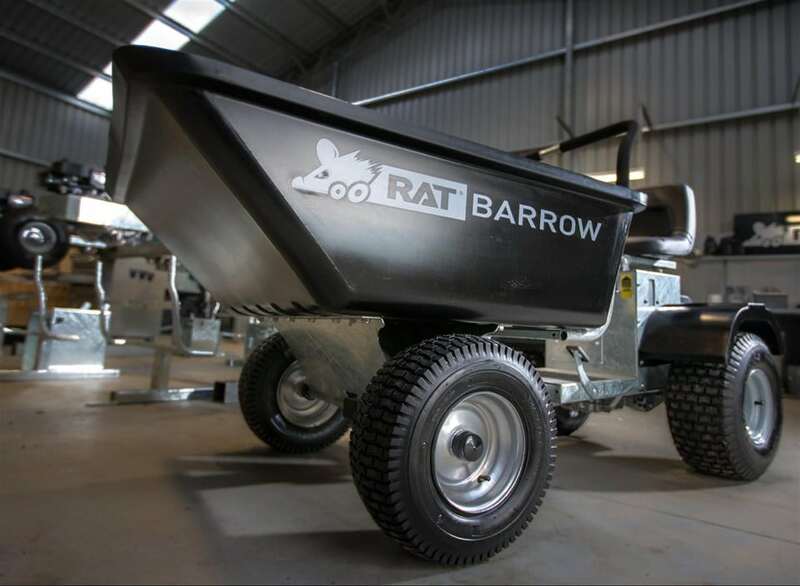 Rat Barrow is designed to improve material handling around the home, farm, garden and stables. 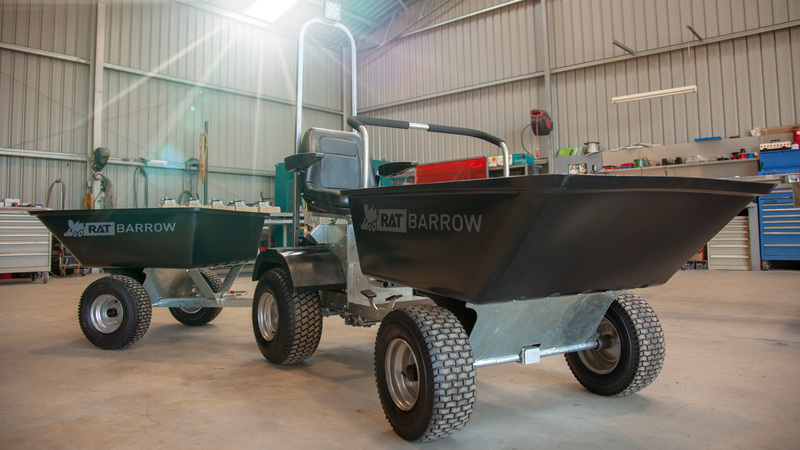 Rat barrows biggest feature is its simplicity. The key start Briggs and Stratton engine with automatic choke and fixed throttle means a quick start every time even on frosty mornings. 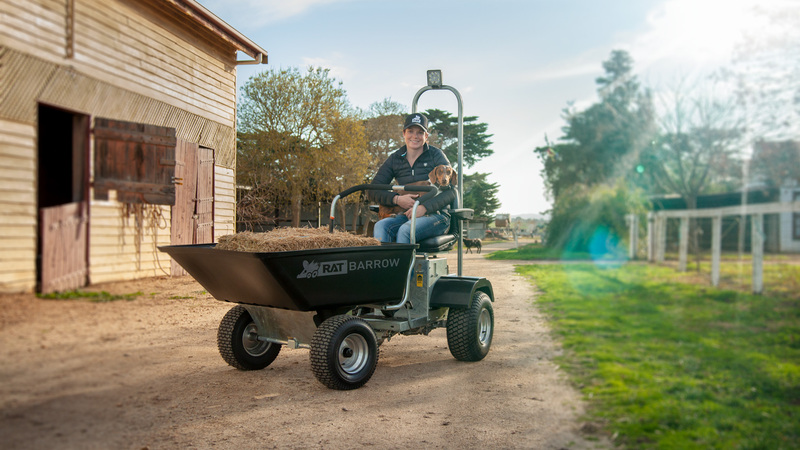 The single variable speed pedal for forward and reverse makes operation a breeze. A large 7lt fuel tank reduces the need for regular refueling, and a transparent fuel gauge window allows the operator to see fuel levels at all times.